Connie Hayes LICSW, MSW, received her degree in Clinical Social Work from University of Illinois, Chicago. 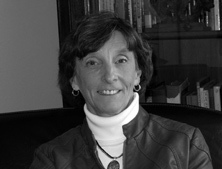 She has worked in field of mental health…….community and private practice for over 25 yrs. She has experience in working with adolescents, adults and families. She also works at Hampstead Hospital doing individual assessments plus family and group therapy. Connie works with clients who struggle with anxiety, depression and mood disorders within an individual or family framework. 24 Front Street, Suite 200, Exeter, NH 03833 | Phone: 603-778-0505 | Fax: 603-772-6761 | Copyright 2014 Coastal Counseling Associates.